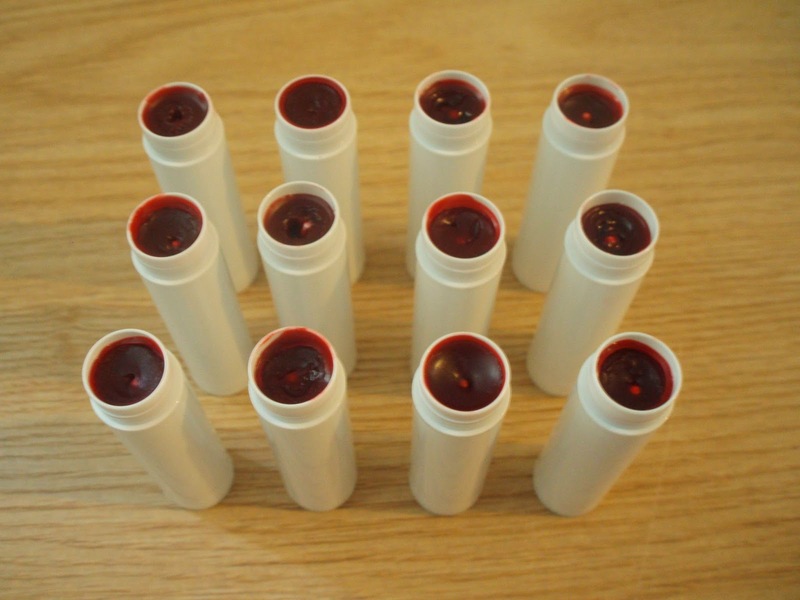 Making your own lip balm is very simple and rewarding. You only need two ingredients: oil and beeswax. In this post, I will provide directions on how to make your own lip balm, accompanied with photos to illustrate the process. Photos are numbered in the same steps as the directions. Such as almond oil, apricot kernel oil, avocado oil, coconut oil, olive oil, and more. Or, a combination of oils. Contact lens cases are also a perfect size! Fill a pot a few inches high with water on the stove over medium-heat, to make a hot water bath. Combine the beeswax and oil in a heat-proof measuring cup. Put the measuring cup in the hot water bath. Occasionally stir the oil and beeswax well with a spoon. Take off the heat immediately once all of the beeswax is melted. (Do not turn the heat up to high, because you do not want the oil to go rancid). Slowly and carefully pour the oil and beeswax mixture into your lip balm containers. Optional: If you would like to use essential oils, they should be added at the last step. Because essential oils are volatile, they evaporate easily. After pouring the oil and beeswax mixture into a container, add the essential oil and cap the container immediately. I usually add 1 drop of essential oil per lip balm tube (0.15 oz) or ~5 drops per 0.5 oz lip balm. Let the lip balm containers sit upright, until they cool down to room temperature. 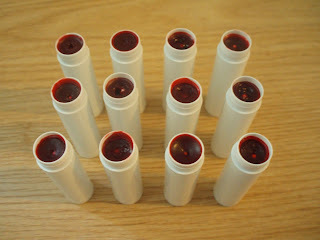 You can also make red tinted lip gloss using the same methods above with 3 oz. alkanet-root infused extra virgin olive oil, 1 tbsp. castor oil, 1 oz. beeswax, and optional essential oil. Recipe inspired by Earthly Bodies & Heavenly Hair, my Boston School of Herbal Studies courses, and personal experience. Have you ever wondered how to make your own body cream? After learning how to make my own, I have never looked back. I often describe making a body cream as similar to but more complex than making mayonnaise, which is an emulsion. To make body creams, I create an emulsion by combining water and fats, which normally do not mix. The water in homemade body creams makes them very hydrating for the skin: the recipe calls for equal amounts of fats and water, with beeswax aiding in the emulsification process. Below are directions and photos for how to make body creams. The photos in the photo gallery help to illustrate the process, numbered with the same steps as the directions. I recommend looking through the photo gallery and reading through the entire directions ahead of time. Such as almond oil, apricot kernel oil, jojoba oil, olive oil, and more. Or, a combination of liquid oils. For example, cocoa butter, shea butter, coconut oil, or a combination. Such as lavender, rosemary, tea tree, others, or a combination. Combine the liquid oil, solid fat, and beeswax in a 16-oz. glass measuring cup. Place the measuring cup in a pot partly filled with water, and heat on the stove over medium heat. Occasionally stir with a spoon until the solid fats and beeswax melt. Remove the cup from the pot and allow the mixture to cool down to room temperature. Occasionally mix the mixture with a spoon to ensure the temperature and consistency is even. The mixture will become thick and creamy. This can take over an hour. This process can be sped up by putting the cup in the refrigerator or a cool water bath. If this is done, occasionally stir the mixture and check the mixture frequently to check that the mixture does not get too solid or too cool. While waiting, put the 9 oz. of room temperature distilled water in your food processor or blender. When the oil mixture has cooled down to room temperature, turn on the blender or food processor. Add a LITTLE of the oil mixture at a time to the distilled water. Continue this process VERY SLOWLY. You are creating an emulsion, encouraging water and oil to combine, although they normally do not mix. If you add the oil mixture too quickly, the emulsion may not form or it may separate. The emulsion process is facilitated when the oil mixture and distilled water are around the same temperature. Alternatively, you could do the reverse process: add the oil mixture to the blender and slowly add the water to it. I have not tried this yet, however. It may take a bit of time for the fats and water to completely combine. The cream should become thick and white if the emulsion forms. Do not turn off the blender or food processor until the emulsion completely forms. Pour the cream into a 32-oz. measuring cup. Mix in the essential oils to the cream if desired. Pour the cream into small jars for storage. The cream will become more thick as it sets. These creams are perishable. 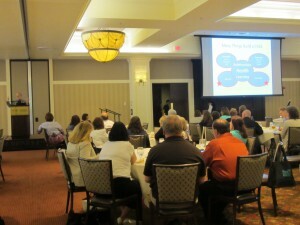 Adding optional ingredients, such as essential oils or vitamin E, can help to preserve them. Refrigeration can prolong the shelf-life of your creams as well. I typically keep one jar out of the fridge for use, and store the rest in the fridge until I am ready to use them. Recipe inspired by Earthly Bodies & Heavenly Hair, Rosemary Gladstar's Herbal Recipes for Vibrant Health, my Boston School of Herbal Studies courses, and personal experience.